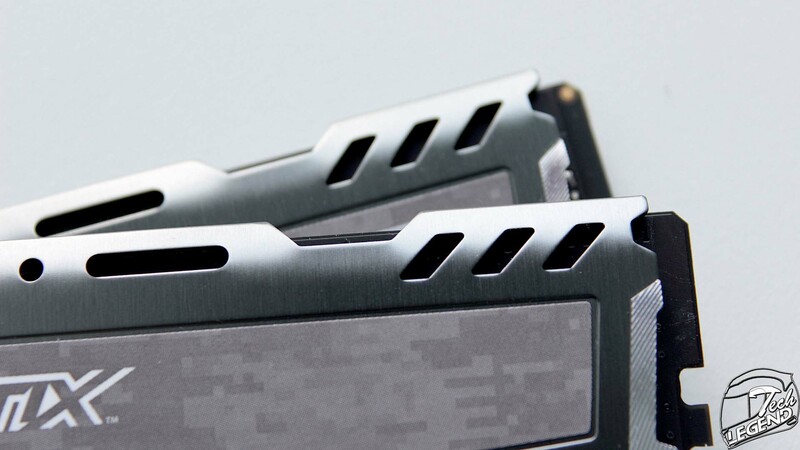 The Sport LT models are available in three different colors, Red, White and Gunmetal gray. 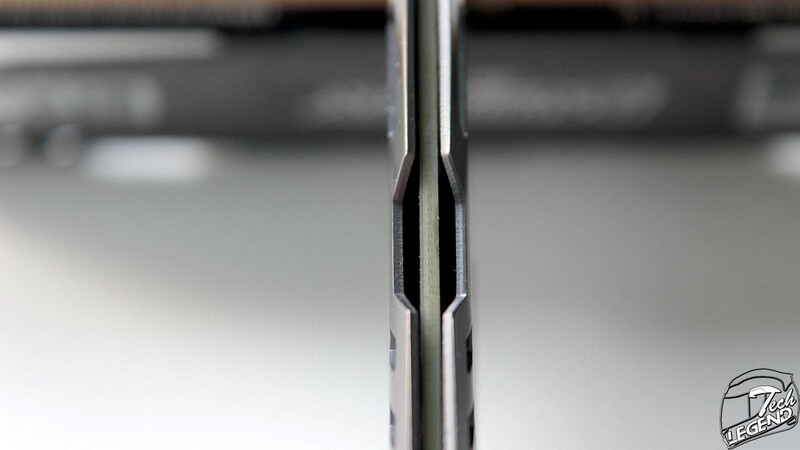 The design of the whole Sport LT series revolves around the all-metal low profile heatsink installed on both sides of the RAM stick. 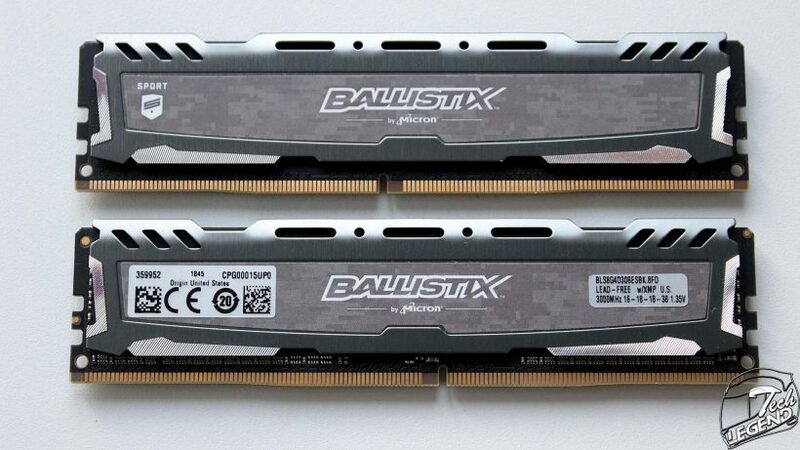 The Sport LT is the only product series from Ballistix that is available in different colors. 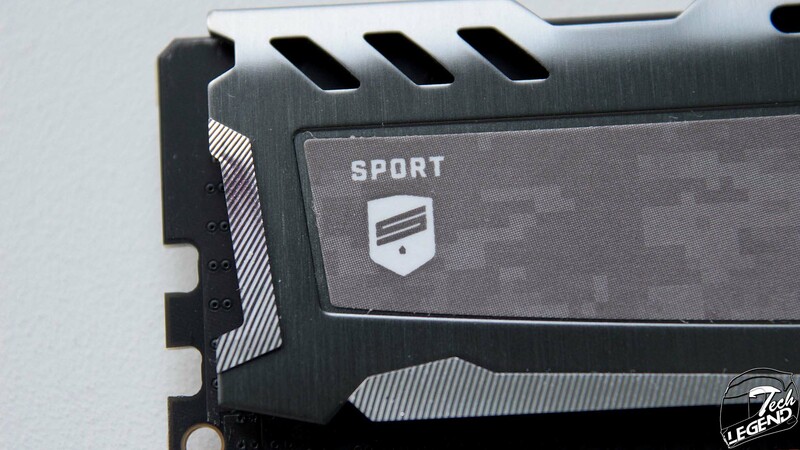 The heatsink used on the Sport LT models is simple in design with no plastic elements or LED integration. 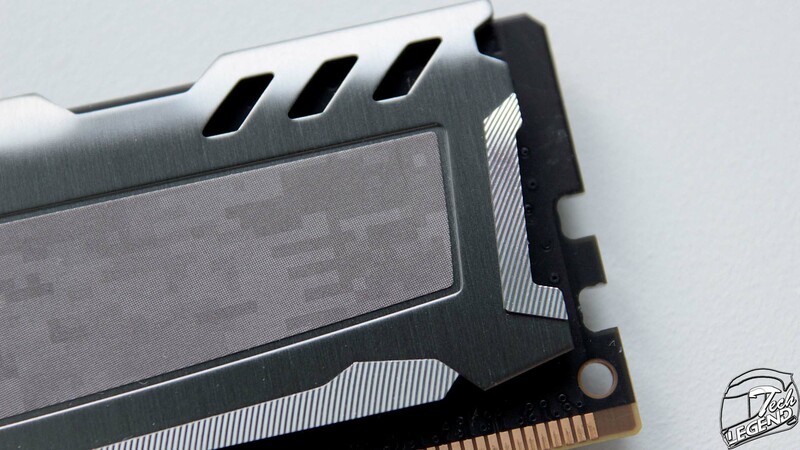 The heatsink is made out of metal and features a linear brushed texture, it is attached to the memory chips using thermal adhesive pads. 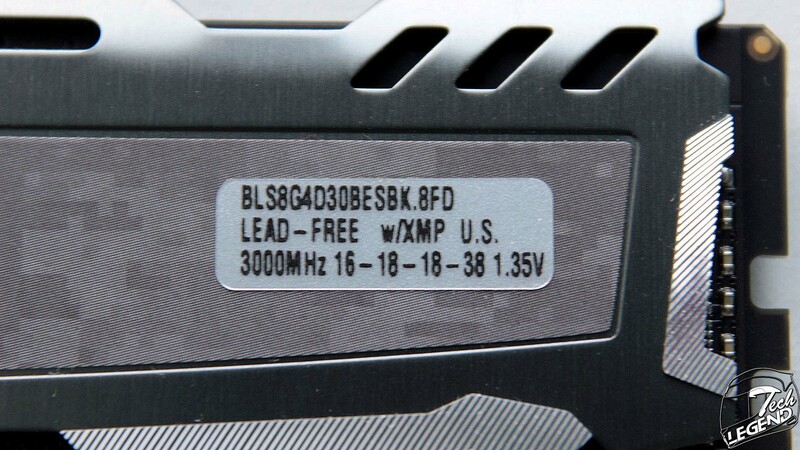 Two labels are applied on one side of the heatsink, these offer technical information about the kit such as the serial number, the timings and voltage. 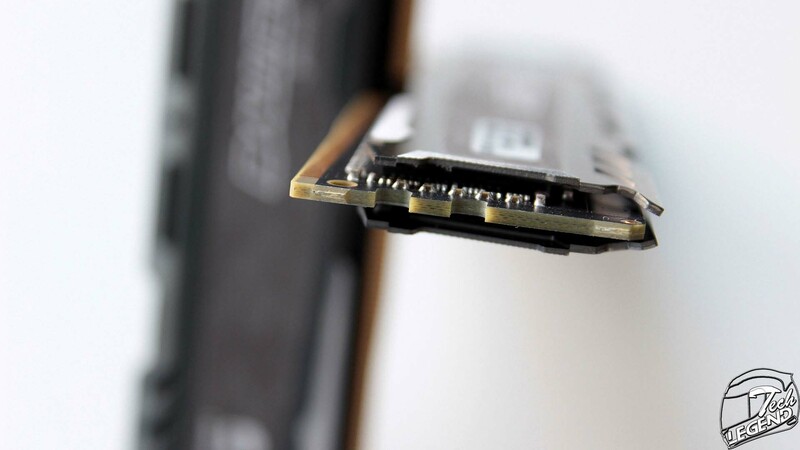 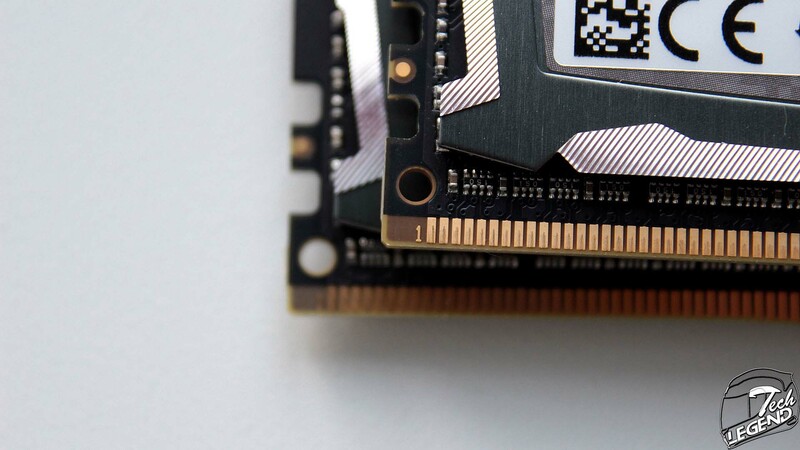 The top of the heatsink has perforations to allow air to pass through and reach the top of the memory chips. 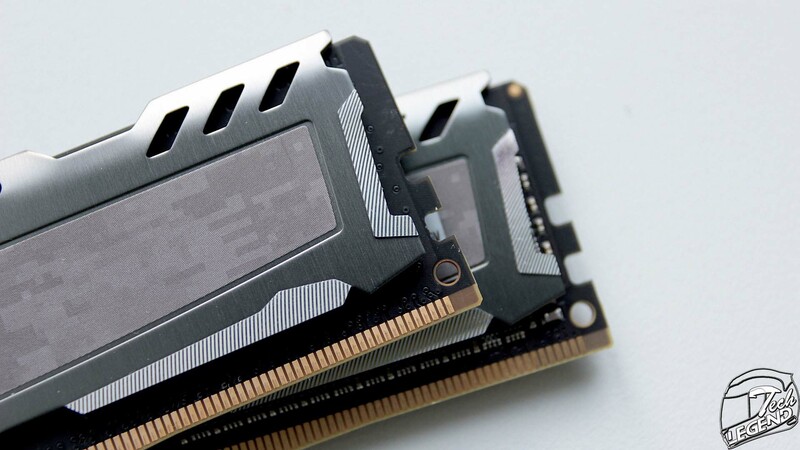 The perforations might help with the overall cooling of the memory chips, but their main purpose is as a decorative item that completes the overall appearance of the kit. 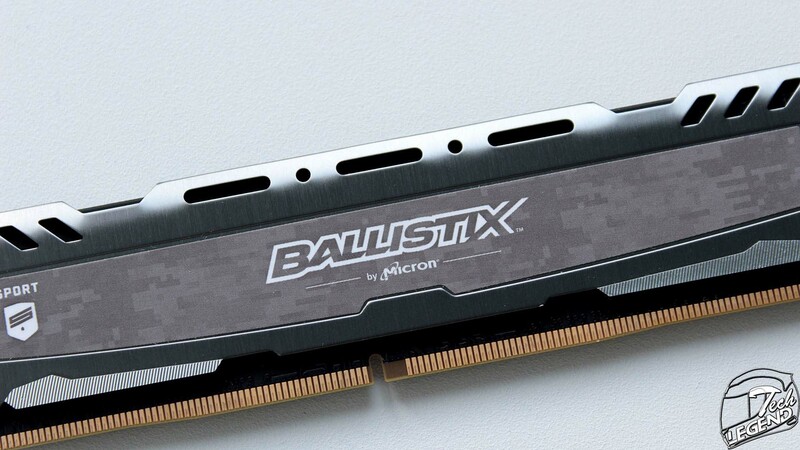 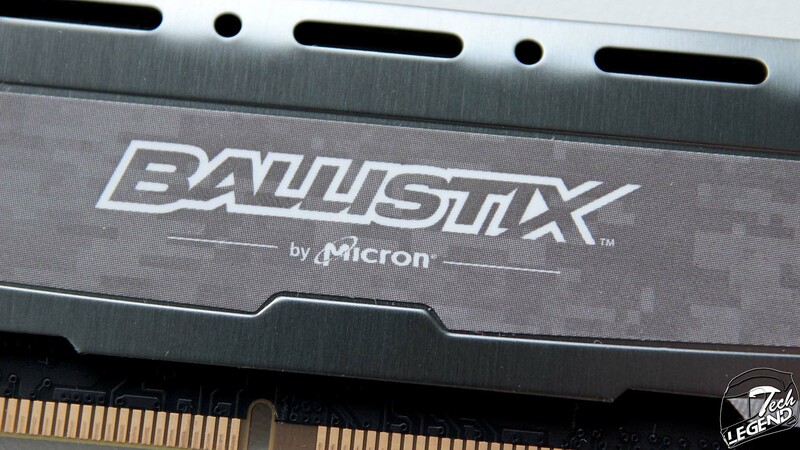 The middle of the heatsink is covered by a urban camouflage sticker that also includes the Ballistix logo alongside the Micron company logo. 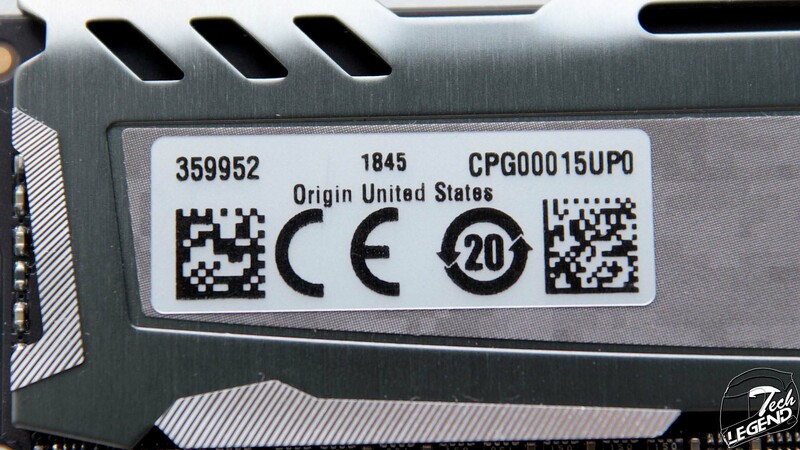 The Sport product series emblem is also present on the sides of the sticker. 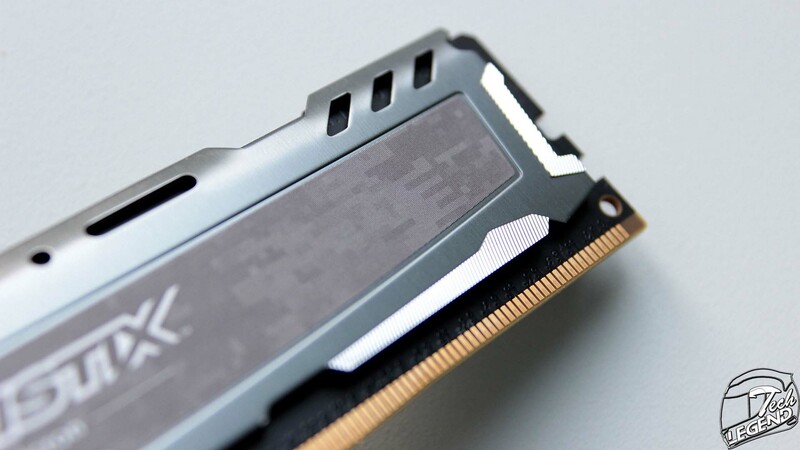 One item that is only found on the Sport LT RAM kits is the chromed elements placed on the lower and side edges of the heatsink. 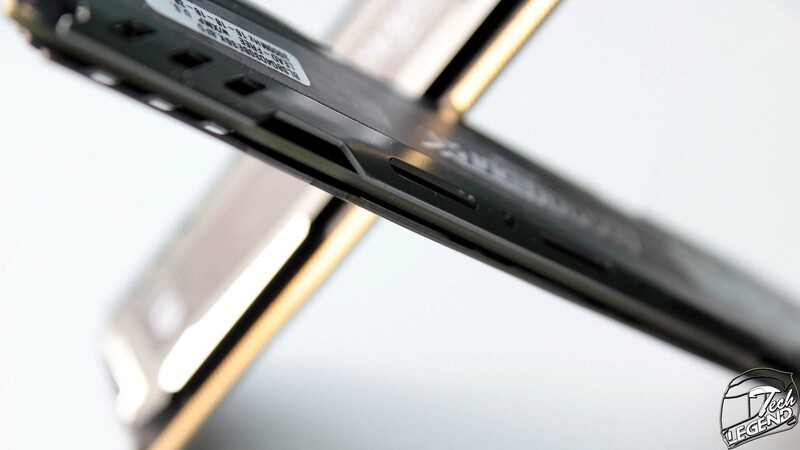 These elements also feature a horizontal brushed texture that enhance the reflective coating applied on them.